Here are a selection of the workshops we offer. If you have specific needs we are always happy to create bespoke workshops for individual clients. The first rule of Fight club is no one gets hurt. The second rule of fight club is no one gets hurt! “Fight Club” is a workshop designed for school enrichment days and team building events. No focus on drama texts, no sweat drenched workouts just the chance to try your hand at the fun that is stage combat with guidance from a trained professional. Ever wondered how film makers make their fights just so realistic? Or how stunt people manage to get up time and time again after taking brutal looking falls? Then this is the workshop for you. Stage combat is fun. It is a non competitive, incredibly safe and sociable physical activity. The work encourages people to work together in teams, building trust and leadership skills. As well as communication and creative thinking. Fight Club has a big emphasis of fun. 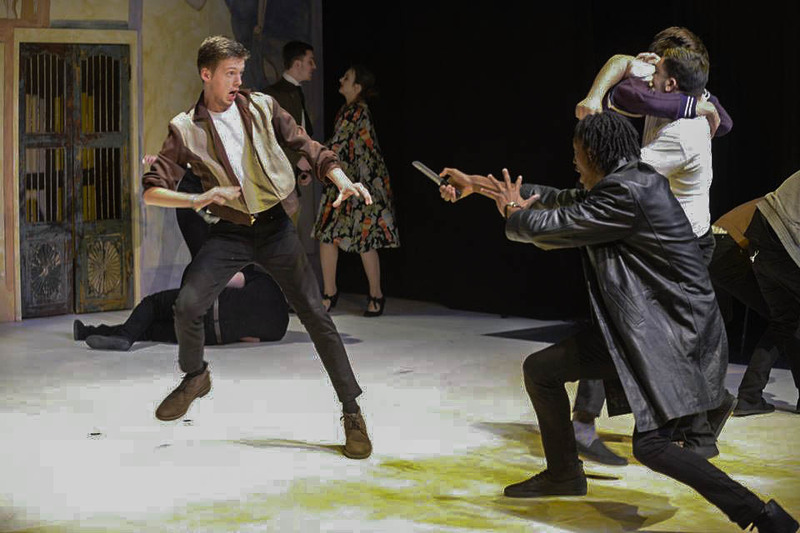 Introducing students to the fundamentals of stage combat in a short snappy crash course. Games and activities help students understand the basic principals of combat while also getting them working physically with each other. The students are taught all the most fun and gory techniques such as safe kicks to the groin, eye gouges, strangles and good old fashioned upper cuts. The session concludes with a talk from a trained stunt professional and an open Q&A covering body burns, car crashes, stair falls and the exciting world of stage combat and stunts. Fighting Fit” combines elements of Kick Boxing, Ju Jitsu, Yoga and Aerobics to create a workshop dedicated to raising students physical awareness and fitness. 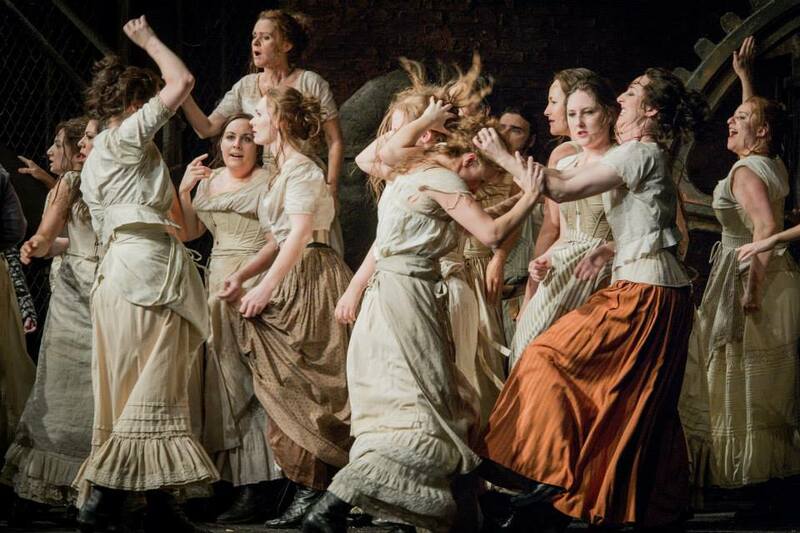 Unlike a sport, stage combat is entirely non-competitive, making it very appealing to those students who find it hard to participate in team or competition based activities. Using a combination of different training discipline’s students are encouraged to increase their coordination, endurance, core strength and cardiovascular fitness in order to perform a sequence of combat choreography. 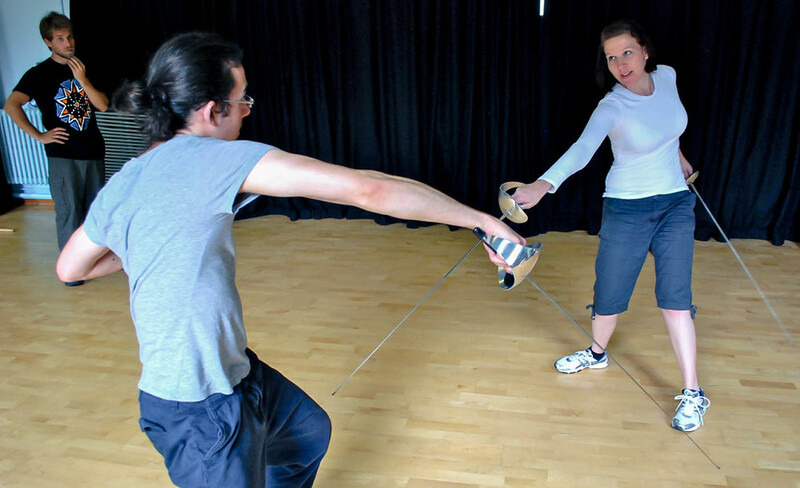 The workshop consists of a half hour intensive workout based around developing the core skills of coordination, rhythm and control necessary for stage combat. The group is then broken into pairs and together the students learn a combat sequence focusing purely on choreography rather than performance. No one is asked to get up and perform and no one is put on the spot. This focus on the purely physical elements of stage combat means students can usually grasp more complex choreography in a shorter time and gain confidence in their own body and abilities.